Greetings again from the darkness. “That guy could take a punch.” It’s supposed to be a compliment and knowing nod to the machismo and toughness so valued in the world of boxing. Instead that trait is responsible for the two claims to fame for heavyweight boxer Chuck Wepner: he shockingly went 15 rounds (minus 17 seconds) against Muhammad Ali in 1975, and was the inspiration for Sylvester Stallone’s Oscar winning movie Rocky. Director Philippe Falardeau (Monsieur Lazhar) and the four co-writers (Jeff Feuerzeig, Jerry Stahl, Michael Cristopher, Liev Schreiber) spend very little time in the boxing ring or with the usual training montages, and instead focus on how Wepner’s ego and inability to handle fame affected his family, his health and his life. This is a portrait of Chuck the man, and it’s at times more painful than the barrage of punches Ali landed in Round 15. Liev Schreiber is outstanding as ‘The Bayonne Bleeder’, the disparaging (but accurate) sobriquet that stuck with Wepner – thanks to his propensity to bleed in most bouts. His self-motivation to “Stay up Chuck” against Ali (played here by Schreiber’s “Ray Donovan” brother Pooch Hall) is what became the foundation for Stallone’s Rocky screenplay. There are a few terrific scenes with Wepner and Stallone (a spot on Morgan Spector) as Wepner desperately tries to latch onto the Rocky bandwagon, going so far as to introduce himself as “the real Rocky”. It’s tough for an actor to get Oscar consideration for a performance in the first half of the year, but Schreiber is worthy. It’s not the first time we have seen the pitfalls of instant fame and celebrity status, and even though it’s a true story, there is a familiarity to it that makes the plight of this lovable lug quite easy to relate to. Wepner’s blue collar narcissism may have been the cause of much of the pain in his life, but it also allowed him to become a folk hero. His connection with Anthony Quinn in Requiem for a Heavyweight provides all the personality profile we require to grasp Wepner’s make-up. The supporting cast is strong. 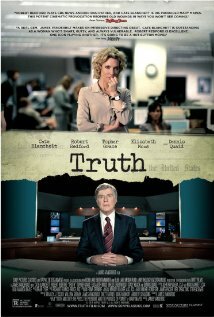 Ron Perlman plays Wepner’s manager/trainer Al Braverman, Jim Gaffigan is his hero-worshiping corner man and cocaine accomplice, Elisabeth Moss plays wrongly-done first wife Phyllis, Michael Rappaport is estranged brother John, and Naomi Watts (she and Schreiber ended their long-term relationship soon after filming) as his confidant and second wife Linda. Moss and Rappaport each have very strong scenes … scenes that remind us that these are real people and not part of some fairy tale. Director Falardeau delivers no shortage of 1970’s cheese – wardrobe, facial hair, disco music, party drugs, and night clubs – but there is also enough humor to maintain balance: Wepner explains after the Ali fight how he tried to “wear him down with my face”. By the end we aren’t sure if Wepner was self-destructive or simply lacking in dependable counsel. Either way, the journey of self-discovery is even more interesting than the boxing career, and the film is punctuated with closing credit footage that provides viewers with a sense of relief. 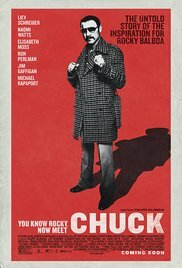 A tragic ending has been averted, and Chuck remains a local Bayonne, New Jersey resident – even if he’s no longer a bleeder. Greetings again from the darkness. When a novel has been deemed “unfilmable” for forty years, perhaps the designation should be honored, rather than accepted as a challenge. That said, there is probably a cult-like movie lurking somewhere in and around director Ben Wheatley’s (Kill List, 2011) personal spin on the 1975 novel from J.G. Ballard (who also penned “Crash” and “Empire of the Sun”). Amy Jump adapted the screenplay from Ballard’s novel, and in the blink of an eye, the tone shifts from a microcosm of a decaying society and class warfare to all-out anarchy and hedonism. What’s fascinating is that the talented cast nearly rescues the film from the misguided script. Tom Hiddleston stars as Dr. Laing, a physiologist who moves into the futuristic (for the 1970’s) monolith, seemingly naïve to the wicked ways of this insular community. Sienna Miller plays Charlotte, a fellow middle-class resident, who not only crushes on Laing, but also seems to know where the skeletons are buried. On the Terrace level, the always entertaining Jeremy Irons plays Royal, the building’s architect and overseer … a kind of great and powerful Oz. An unrecognizable Luke Evans (out of his usual pretty boy mode) is stellar as the aptly named Wilder, a documentary filmmaker who adds a dose of skepticism towards the building – in contrast to Laing’s innocent approach. 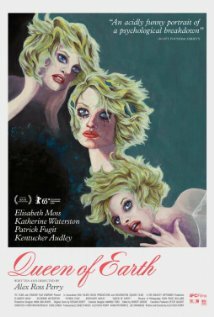 Beginning at the macabre ending, the film then flashes back to “3 months earlier” as Laing first moves into the building. This device is the only semblance of time provided throughout. We witness how quickly Laing takes to the sport of social climbing, buddying up to Royal, and joining in with the communal decadence. Power outages, orgies, class warfare and enough cigarettes to qualify as a non-smoking PSA, the film seems intent on ensuring viewers remain disoriented as to the reasons for mass chaos. The building itself could be considered a character, and certainly the use of mirrors and a kaleidoscope makes a statement … even while we hear multiple versions of Abba’s “SOS”. 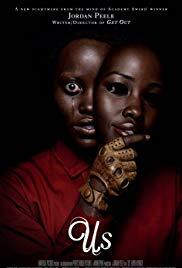 Black comedies typically make the best cult movies, and though this one is filled with aberrant and deviant behavior, it’s somehow not quite twisted enough … or at least not properly twisted for viewer fun. Beyond that, it comes across as an expression of filmmaker anger rather than the commentary on British infrastructure that Ballard intended. 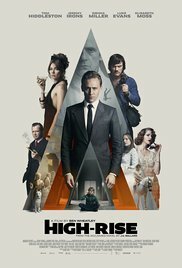 **NOTE: I’m sure the similarities of the movie poster to that of Kubrick’s A Clockwork Orange is no coincidence, although that’s a pretty ambitious stretch for High-Rise. Greetings again from the darkness. Starting out with a typical marriage counseling session, director Charlie McDowell and writer Justin Lader lull us into a movie-going comfort zone based on our experience with such Hollywood fluff as Hope Springs and Couples Retreat. All that should be said at this point is … not so fast, my friends! A crumbling marriage and the subsequent lack of success with communication, leads the therapist (Ted Danson) to recommend a weekend alone at a private country estate. The twists and turns that await Ethan (Mark Duplass) and Sophie (Elisabeth Moss), take marriage counseling to an entirely new spectrum. Sophie wants to reignite that early relationship spark and Ethan just wants things back to normal. The setting does justice to the legend of beautiful California real estate, but things aren’t all they seem as Ethan and Sophie bounce back and forth between the main house and guest house. It’s in these moments where the big relationship questions are addressed … and the script is smart, funny, creative and dark. It’s not likely anyone can watch this without having some inner dialogue, and probably even some real discussion afterwards. 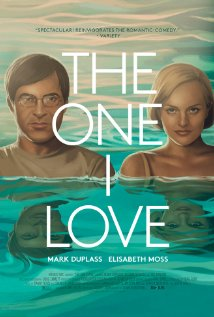 Mark Duplass (“The League“, Safety Not Guaranteed) and Elisabeth Moss (“Mad Men“) not only carry the film, but also take on significant responsibility with wide-ranging personality traits and subtle physical changes. Duplass is exceptional and easy for most guys to relate to in how he handles the challenges. While I’ve never been a big fan of Ms. Moss, her performance here is quite impressive. Whether “together” or “apart”, they complement each other nicely. The closest comparison I have for this one is Ruby Sparks (2012), but this one will have you questioning what makes a relationship work and what should we really expect from our partner. The idea of recapturing that initial spark is absurd and immature, but that doesn’t lessen the need for realistic expectations. For the first feature from director Charlie McDowell (son of Malcolm McDowell and Mary Steenburgen) and writer Justin Lader, the unique and creative approach to such a complex topic make them filmmakers to keep an eye on. **NOTE: I found the film very well done and quite thought-provoking until the last 15 minutes or so. 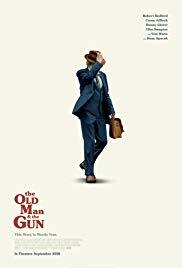 One of the twists kind of knocked me off the rails and raised too many questions that this little film just couldn’t address, much less answer. Still, that doesn’t stop me from recommending it to my fellow indie movie lovers. During the Q&A after the screening, director McDowell admitted that they completed filming in 15 days, and that most of the sound and dialogue was recorded live. The unusual and effective score was, of course, added later.